Deciding where to live and raise a family is an important decision for families. There’s a lot of criteria to consider: crime rates, quality schools, access to family-friendly recreation activities and venues, and cost of living to name a few. Each family has different needs and desires when it comes to finding the right place. For parents looking for a great landing spot for their families in California, there are plenty of options. 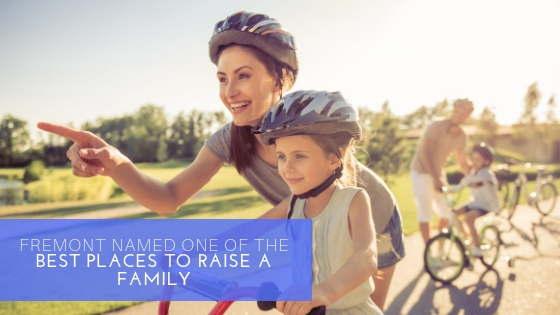 WalletHub released a new study ranking the best places to raise a family, based on key criteria like cost of housing, education quality, and recreation and entertainment options. After all the number crunching, several California cities made the list, including third-ranked Fremont! Fremont scored top marks in ‘Health & Safety,’ ‘Education & Child Care,’ and ‘Socio-economic.’ It’s central location in the Bay Area means residents have convenient access to the area’s top employment markets and recreational activities. If you’ve been eyeing Fremont as your family’s new home, we invite you to visit Locale @ State Street. This dynamic community of rowhomes and condos is within walking distance of the Fremont BART station. Choose from one of our 76 attached Rowhomes or 81 Condos. The Rowhomes, priced from the high $900s, have 3 to 4 bedrooms, 3-4.5 baths and approximately 1,400 to 2,000 square feet of living space. Alternatively, the Condos include several plan types, including 14 two-story Paseo townhomes, 25 two- and three-story Capitol townhomes, and 42 one-story flats. The Condos, starting from the high $600,000s, feature 1-4 bedrooms, 1-3.5 baths, and between 728-2,600 approximate square feet of living space. The Condos amenities include outdoor spaces with barbecues, lush landscaping and seating areas for residents to gather, as well as a fitness studio and bike share program! With a walk score rating of 85, homeowners have the ability to accomplish most errands on foot and public transportation. Locale @ State Street will also feature approximately 21,000 square feet of ground-floor, street-front retail and restaurant space directly along Capitol Avenue, creating a vibrant urban experience. Locale @ State Street is now selling. Get pre-approved now to participate in our next release! Join our Interest List to receive updated information on pricing, floorplans and grand openings. To learn more about Locale @ State Street, email our Sales Manager or call 866-936-6108.